Don't smoke. This is the most important factor. Maintain a healthy blood sugar level with good diet, a healthy weight, and physical activity. Maintain a healthy weight with good diet and physical activity. Successful aging includes common sense behaviors you can choose now- regardless of your age. 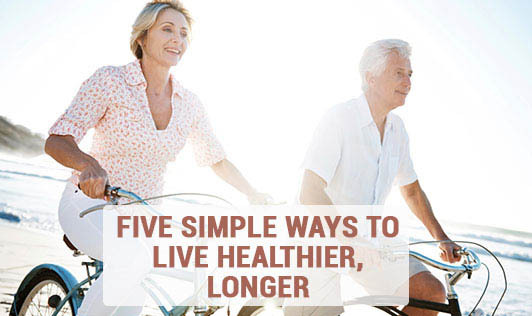 Healthy lifestyle habits today will result in good health tomorrow, and can greatly increase your odds of enjoying good health through 90 years of life and longer.